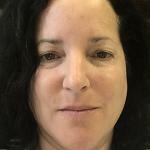 Carla Ferstman is a senior lecturer in the law faculty at the University of Essex. She is the former Director of REDRESS (2004–2018) and previously Legal Director (2001–2004). After a brief period in private practice, she worked with the UN High Commissioner for Human Rights in Rwanda (1995–1997), Amnesty International (1998–1999), and was Executive Legal Advisor of the Commission for Real Property Claims of Refugees and Displaced Persons in Bosnia and Herzegovina (1999–2001). She is a member of the experts committee of the Convention Against Torture Initiative. She also serves on the Board of Trauma Treatment International and the Nuhanovic Foundation and is a member of the Advisory Committee of Lawyers for Justice in Libya. Carla Ferstman & Merryl Lawry-White, Participation, Reparation and Redress: Draft Article 12 of the ILC’s Draft Articles on Crimes Against Humanity at the Intersection of Criminal Law and Human Rights Law, 16(4) J. Int’l Crim. Just. (Forthcoming 2018). Carla Ferstman, International Organizations and the Fight for Accountability: The Remedies and Reparations Gap (OUP 2017). Carla Ferstman, Prosecutorial Discretion and Victims’ Rights at the International Criminal Court: Demarcating the Battle Lines, Acta Juridica (2016), available online. Carla Ferstman, Limited Charges & Limited Judgments by the ICC—Who Bears the Greatest Responsibility? 12 Int’l J. of Hum. Rts. 796 (Jun. 15, 2012), paywall. Carla Ferstman, Mariana Goetz & Alan Stephens, Eds., Reparations for Victims of Genocide, War Crimes and Crimes Against Humanity: Systems in Place and Systems in the Making (Martinus Nijhoff Apr. 30, 2009).